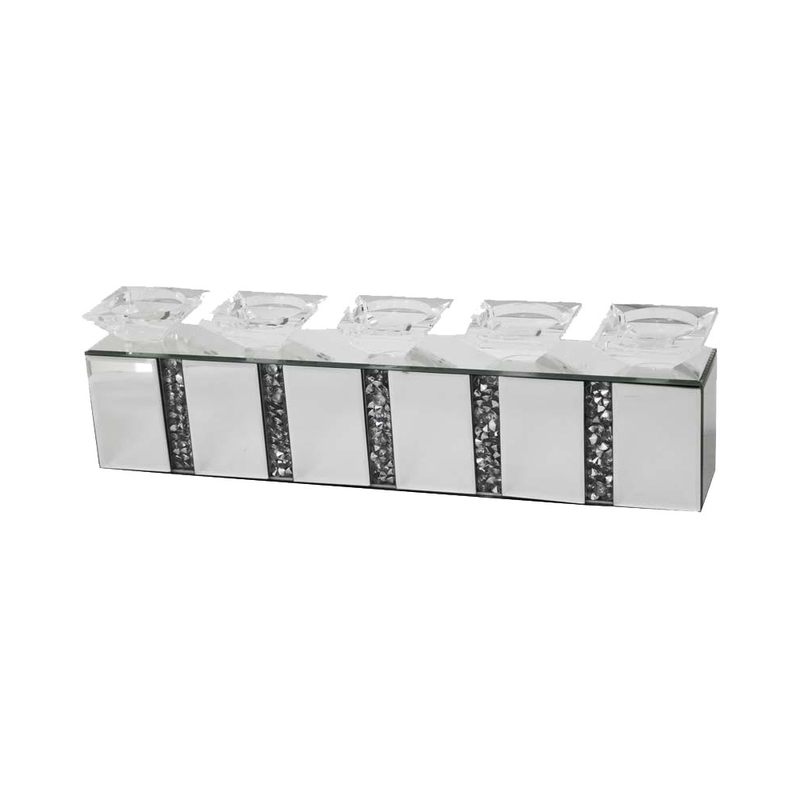 This is a cute mirrored candle holder set of 5 which can hold 5 beautiful candles in the most elegant way possible. This candle holder set is extremely stunning, with its elegant and sweet design. It is such an easy way to accessorise your home and give it more of a modern and contemporary feel. Its part of the Gatsby collection.